Could you imagine the stomach-sinking feeling of losing your passport while travelling abroad? The beads of sweat that throb to your skipping heart palpitations? The nervous blinking and the anxious laughter as you scramble for an embassy address? It’s not quite like losing your credit card (call your bank), your house key (call your locksmith) or your phone (well, still kind of annoying). Losing or misplacing your passport can cause a panic unlike nothing else, especially when you’re far away from the comfort and the familiarity of your home. And yet, whilst we keep our cards in our wallets and our keys in our bags and our phones in our pockets or glued to our hands, passports haven’t been given the same kind of protective priority. Until recently. In recent years, many big fashion and leather goods brands have started paying tribute to the ultimate travel essential, by releasing a range of passport holders. They’ve evolved from being mere protective cases for the document to making style statements of their own, speaking for the high life jetsetter and the globetrotting business man or woman. With autumn holidays coming up soon and the festive season lurking around the corner, we’ve put together a list of the most stylish passport holders of the minute. Like a VIP version of a wallet, besides a passport, these can hold everything from tickets and receipts to credit and lounge membership cards. Find the one you’ll be taking onboard your next flight, as you’ll definitely be turning heads (the good way) the next time you slip your passport across the counter at the check-in desk. Taking off with a true classic, no list of travel accessories would be complete without Louis Vuitton’s luxury leather goods. Paying homage to its trunk-making history, this passport cover (approx. THB 15,975) from the Mon Monogram selection features the classic LV monogram canvas with a grained calf leather lining and a customisable exterior. 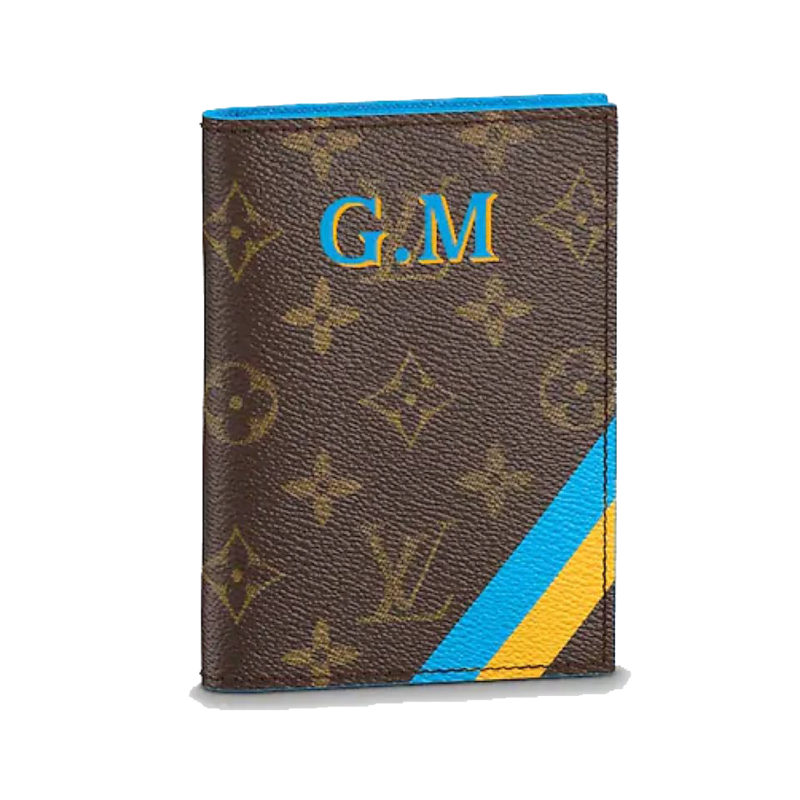 Pick from a range of bright colours and opt to get your initials printed for a highly personalised passport holder with style. Bonus points if you have an entire Louis Vuitton luggage set to match. Sure to catch your eye no matter how buzzing the airport lounge or packed your weekender bag may be, this Prada Saffiano leather passport cover (approx. THB 13,227) brings a bright pop of colour to any journey. 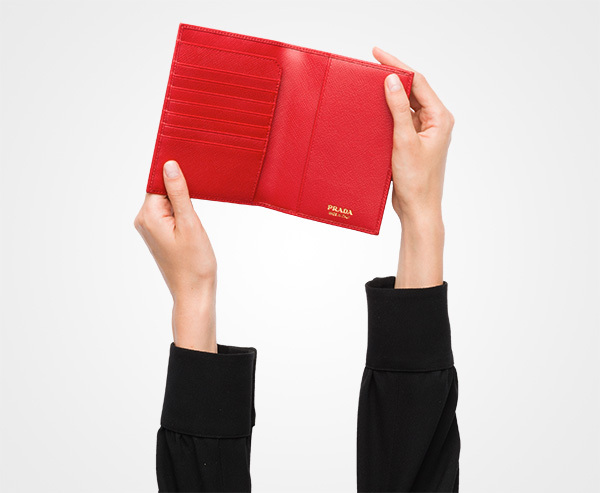 The fire engine red passport holder features a subtle Prada logo in gold finish, and contains one passport pocket and seven credit card slots, making it a handy travel companion for all that last-minute airport shopping you might wish to do. 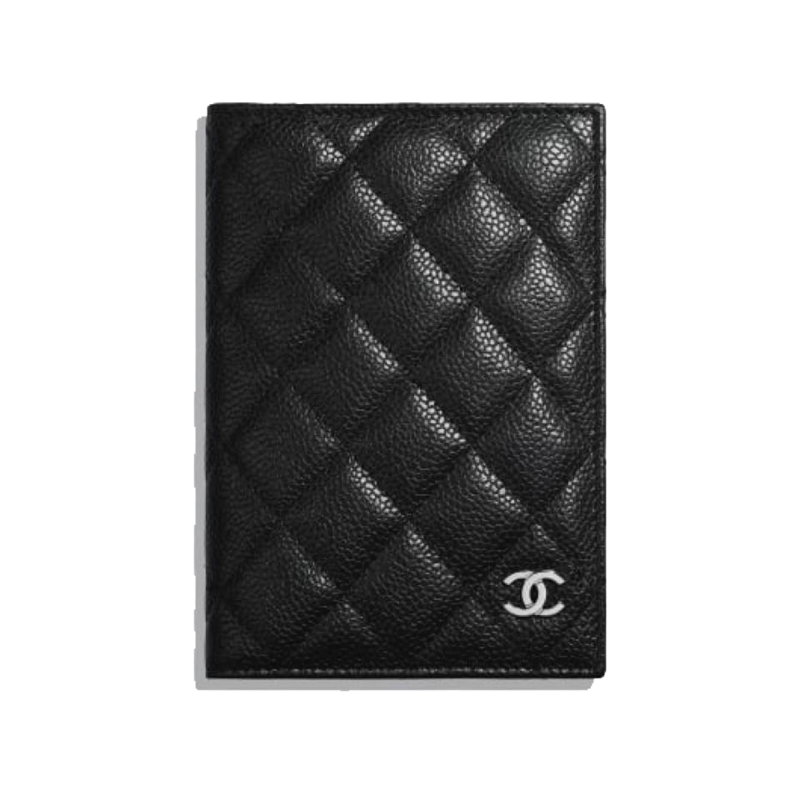 If like us you just can’t get enough of Chanel’s signature quilted leather texture, this classic passport holder (THB 18,500) is your calling. 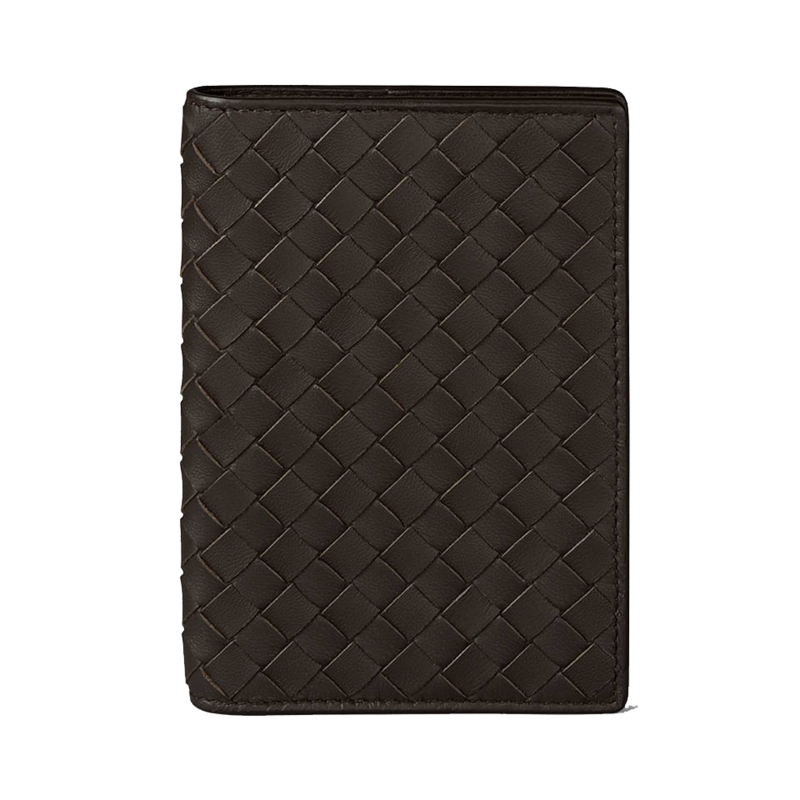 The black passport cover features grained calfskin and a silver-tone metal Chanel logo, for a leather accessory that is subtle, sophisticated, and timeless. For all the ladies in the place with style and grace: here’s an elegant option that will never go out of style – no matter the destination. 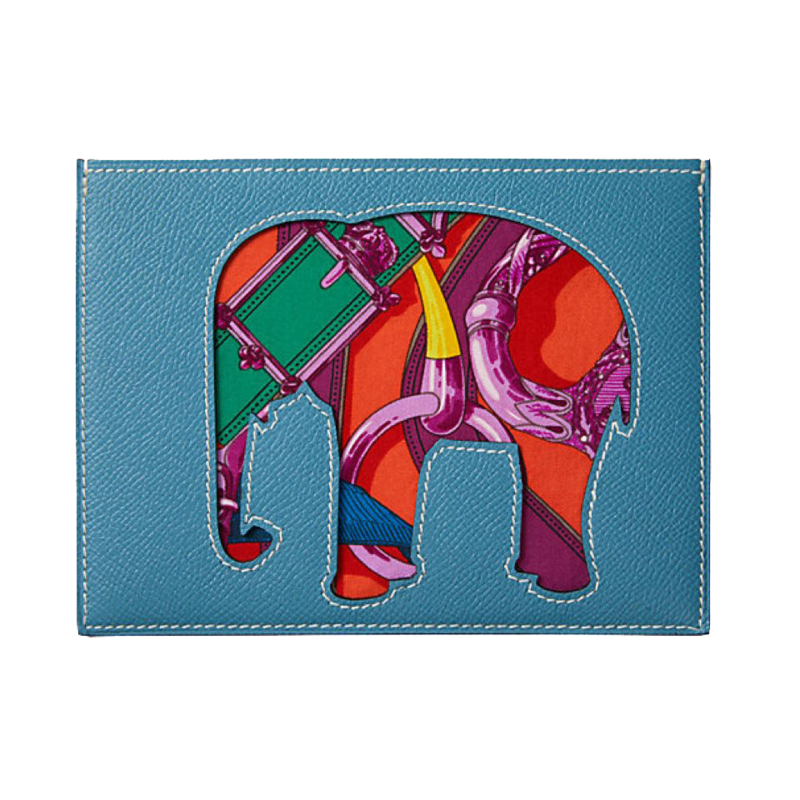 Bringing a colourful and playful flair to any flight, this charming Hermès passport holder (THB 22,625) combines light blue calfskin with an animal motif cutout and a silk-lined interior. Reminiscent of both Hermès’ luxury leather goods as well as their iconic silk scarves, the accessory brings a light-heartedness to any trip, sure to remind you of easy breezy summer holidays even long after your trip. 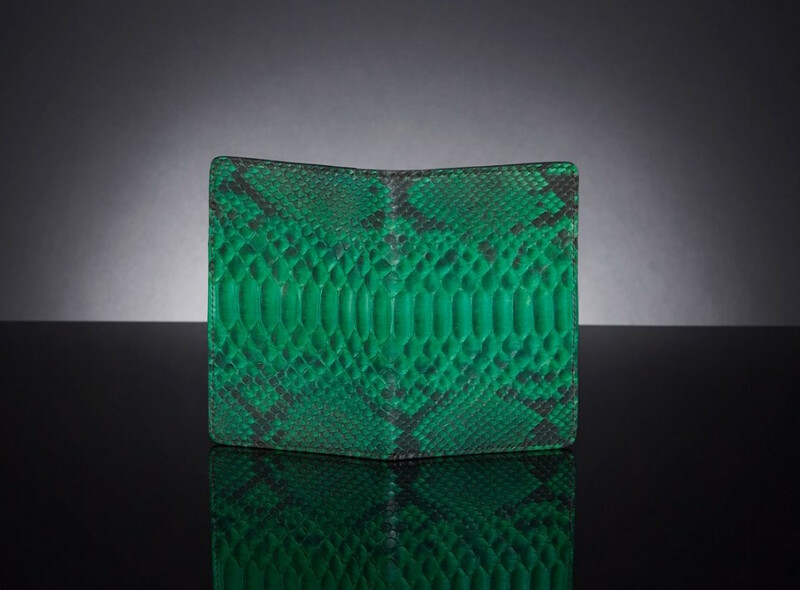 Whilst not strictly a passport holder but rather a ‘treasure holder’, this METTIQUE travel companion (THB 17,600) is made with matte lime green python leather, and features an Italian cowhide interior. Bringing in all kinds of sleek exotic style points, the document holder has three compartments and eight card slots, making for a brilliant all-in-one-place accessory. A Bangkok-based brand that is bringing meticulous quality and snazzy designs, here’s a piece for the traveler who likes to stand out from the crowd. 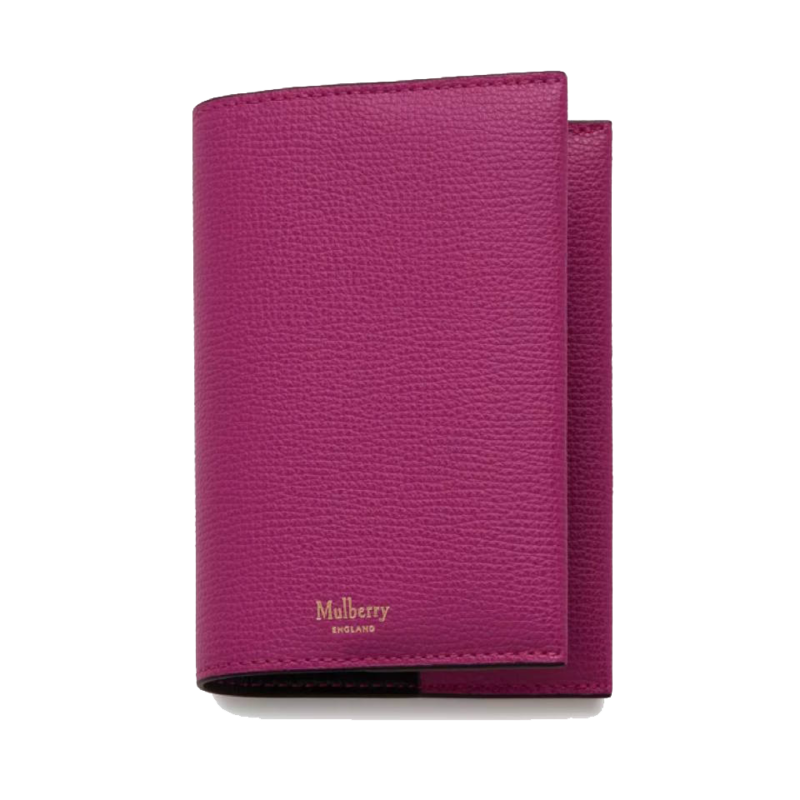 Proving that classic need not mean boring, this Mulberry passport cover (approx. THB 4,835) boasts a traditional no-fuss design in a warm feminine colour. Made with soft bovine leather with a cross grain textured print, the passport holder features a nappa lined interior with two internal sleeves. The deep pink shade is easy to pair with any handbag or carry-on, making for an accessory that is practical both in terms of passport protective and style points. For a passport holder that screams a little louder, this Gucci number (approx. THB 11,935) is a strong contender. The shiny black passport case is made in the Italian luxury brand’s heat embossed Gucci Signature leather, making for a very defined print pattern. The inside contains two pockets and three card slots. Is saying something is ‘Gucci’ still millennial slang for something being cool? 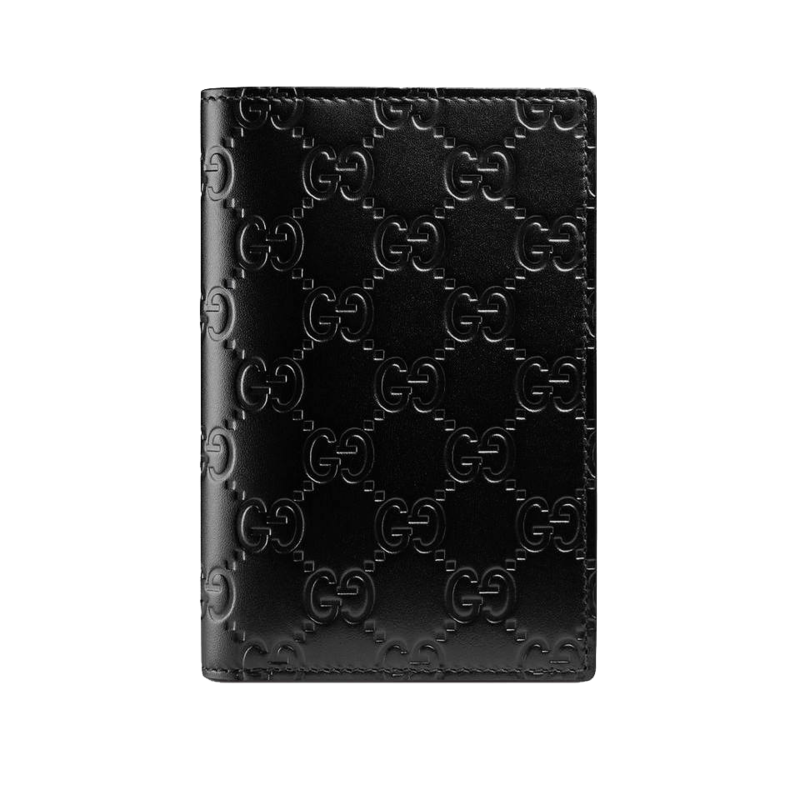 Well, this passport holder is very, very Gucci. 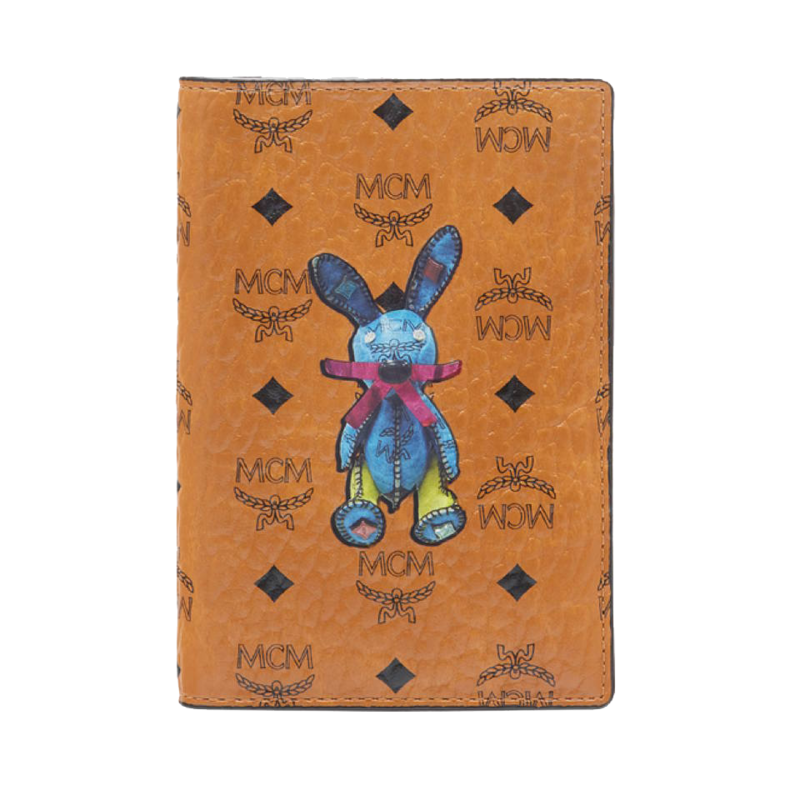 Jovial in a way that only MCM can pull off, this MCM Rabbit Holder in Visetos (approx. THB 7,425) is printed with the brand’s adorable rabbit motif as a playful (and somewhat eerily childhood nostalgic) twist on the classic cognac perennial pattern. 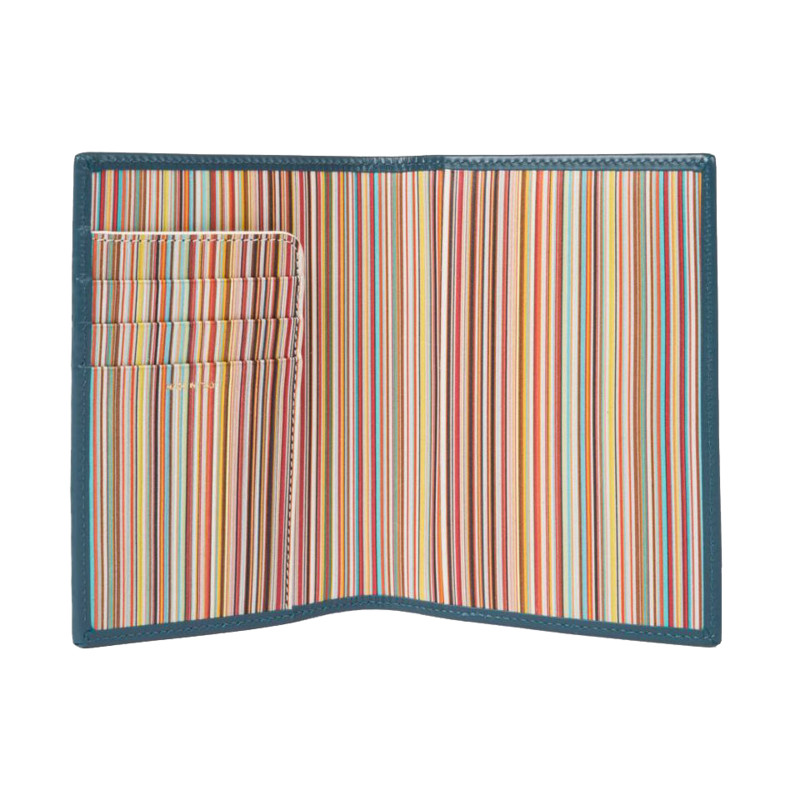 The interior features a passport sleeve, four card slots, and an auxiliary sleeve for documents, ensuring you’ll always be on top of your travel game – with a touch of whimsy. Bottega Veneta has been taking over our everyday totes and clutches, our phone covers, and our homes with its Nappa leather intrecciato weave design. Now, the Italian brand brings its tell-tale style to our passports with this passport case in espresso intrecciato nappa (approx. THB 10,960). Slender and sophisticated, the bi-fold passport holder features two internal pockets, and makes for a handsome option for the handsome jet-setting gentleman. Whilst this Paul Smith teal leather passport cover (approx. THB 6,290) may look unsuspecting from the blue-hue outside, it’s insides bring a splash of (all the) colours with the signature textured stripe design interior. Made in Italy from smooth calf leather, the passport holder includes three credit card slots, as well as a complimentary monogramming service, whereby owners can get their initials or a charming doodle embossed on the accessory. You’ll never want to misplace it again. Lisa loves to travel, and is always on the lookout for the world’s best nap spots. She’s a serious Asian art history nerd, and has a knack for languages and coffee table books. She hopes to publish her own novels one day, one of which will likely be called ‘All The Great Conversations I Had In A Bangkok Speakeasy.’ It’s a work in progress.